Let's ponder for a moment what Hitchcock’s Vertigo (1958) and Welles’s Citizen Kane (1941) might have in common beyond having been voted the two finest films in cinema history*. 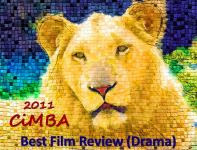 The particular feature they share that I have in mind is also shared with, to name just a few films, Mankiewicz’s The Ghost and Mrs. Muir (1947), Robert Wise’s The Day the Earth Stood Still (1951), the Ray Harryhausen “Dynamation” hit, The 7th Voyage of Sinbad (1958), the Gregory Peck/Robert Mitchum thriller Cape Fear (1962), Truffaut’s Fahrenheit 451 (1966) and Scorsese’s Taxi Driver (1976). Canny classic movie buffs have determined by now that composer Bernard Herrmann is the common denominator. Herrmann first collaborated with Orson Welles during the 1930s, when the two were working in radio. 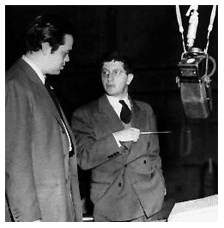 Welles was involved with programs like the Columbia Workshop, his Mercury Theatre and the Campbell Playhouse, and Herrmann was a music director/conductor/arranger for the CBS radio network. 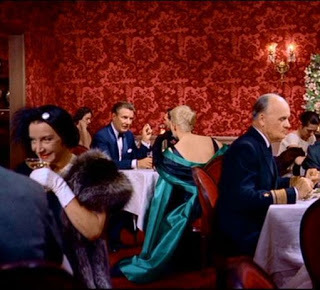 When Welles undertook Citizen Kane, he chose Herrmann to create its score; Kane would be the first feature film for both men. Herrmann also provided the score for Welles’s second feature, The Magnificent Ambersons (1942), and for Jane Eyre (1943), in which Welles starred. 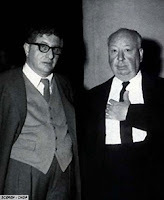 But it is with Alfred Hitchcock that Bernard Herrmann’s career as a film composer is most intimately linked. 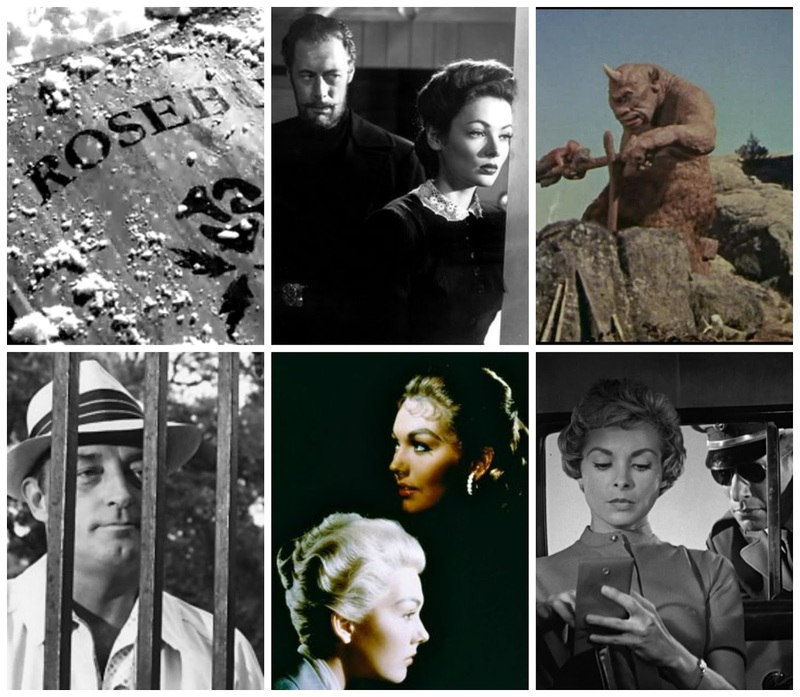 Beginning with The Trouble with Harry in 1955, the two collaborated on seven films, two of them Hitchcock’s – and Herrmann’s – great masterpieces: Vertigo in 1958 and Psycho in 1960. And two very different scores they are; Vertigo, with its nod to Tristan and Isolde, is lushly orchestral, even operatic, while Psycho is spare, modern, jarring. Both scores have had long-lasting impact. In fact, in 2011 the filmmakers of The Artist, winner of five Oscars including Best Picture, inserted Herrmann’s love theme from Vertigo into their own film's score. Steven Smith, Herrmann’s biographer, reflecting on Herrmann’s special gift as a film composer, noted that “…the thing that Herrmann did again and again, especially in Hitchcock's films, was that he forced the viewer to feel what the characters on screen were feeling. He considered film music, in his phrase, the `communicating link' between the filmmaker and the viewer." 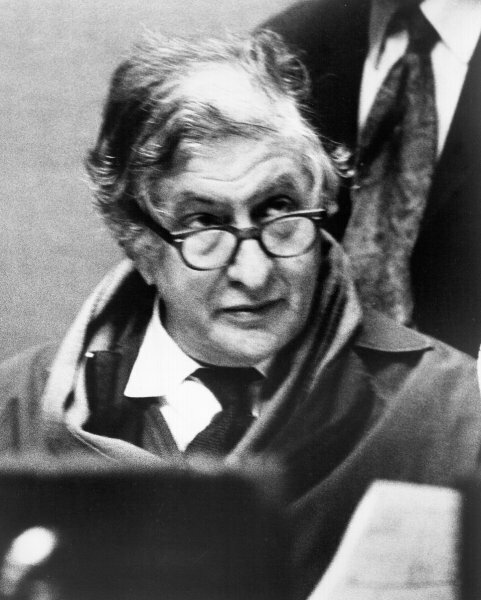 From 1941 until 1975, Bernard Herrmann created the music for 50+ original film and TV works and now he is soon to be celebrated with a new feature-length documentary, Lives of Bernard Herrmann. The film, currently in production under the supervision of New York City-based director Brandon Brown, will feature interviews with Herrmann’s oldest daughter, with actor and former TCM host Alec Baldwin and other notables, and will explore at length the legendary composer’s life and work. Lives of Bernard Herrmann is slated for release in Summer 2016. The San Francisco Symphony recently announced its 2015 – 2016 season and its wildly popular film series is again part of the schedule. This series consists of popular classics presented on the big screen while the orchestra performs the score live. I can attest, having attended a few of these events, that these movie-with-live-orchestra performances are an out-of-this-world experience. And this season, good news for Hitchcock/Herrmann fans, Vertigo, which was first presented during the 2013 - 2014 season, will once more be showcased at Davies Hall. Note: Halloween night, Sat., Oct. 31, 2015, The Rocky Horror Picture Show (1975) will be presented, but the symphony will not play live with the film. I enthusiastically recommend this series to those who live in or will be visiting the Bay Area during the 2015 - 2016 symphony season. Although many composers adapted their "styles" to fit the movie, I think none did better than Herrmann. He contributed such very different scores to different kinds of films--as evidenced by the huge contrast between two of my favorite Herrmann scores: VERTIGO and THE DAY THE EARTH STOOD STILL. Such a shame that he and Hitch parted company over TORN CURTAIN! Would love to hear the VERTIGO score live. The good news is that the films that are performed at the symphony here are usually the ones that are performed at other symphonies around the country. So - keep an eye on the season schedule for a major symphony close to home. I don't think even a Bernard Herrmann score could've saved Torn Curtain - or any of Hitchcock's last films - to tell you the truth, Rick. I sure wish I lived in the Bay Area! I've always thought Herrmann to be the greatest of the great movie composers. When I was young and really didn't pay much attention to the information about who wrote what or any of the things that later fascinated me. I was always very aware of the music in movies, and I had my favorites -- "Jane Eyre", "Citizen Kane", "Ghost and Mrs. Muir" and so on ... then I realized that every single one of my favorites was written by Herrmann. I mean, I always loved Max Steiner and Erich Wolfgang Korngold, etc., but Herrmann must have touched a chord in me because even when I didn't know who he was, his were always the ones that moved me. I really enjoyed this, Eve. As you know, I haven't been around much for a while now...many illnesses made for a pretty awful year or more. But I'm still your big fan and friend and will try to be more vocal about it! There were and are so many accomplished film composers and I'm a fan of many, but Bernard Herrmann may ultimately stand as the greatest of all. His gift was to brilliantly express with music the emotional essence of what was on the screen. Good to hear from you, Becky. Hi Patty! So nice to see you back! I'm chiming in with Becky - Herrmann's scores go beyond pleasing the ear and somehow make it into your heart and mind. His scores are no small reason so many of those films are classics. Lovely post, my friend. Hi Marsha! Can you imagine Citizen Kane or Vertigo or N by NW or Psycho (etc., etc.) without Herrmann's scores? Impossible. In the NPR interview cited, Herrmann's biographer talks about how Hitchcock originally didn't want any music at all for Psycho's shower scene, but Herrmann wrote something anyway. Later, when Hitchcock didn't think the scene was working as he'd imagined, Herrmann showed him what he had in mind. Hitch loved it and, of course, used it. It's a visually horrific scene, but Herrmann's strings effectively take the terror of it to a deeply personal level. WHAT?! The shower scene without Bernard Herrman's psycho-strings - that's unimaginable (I never heard that before); just like "Vertigo" would have been something else entirely without his music. He was a great master - the best of the best. Howard Shore is a current composer who has demonstrated great versatility and an ability to capture the film's emotion along with it's subtext - his score to David Cronenberg's "A Dangerous Method" is also inspired by Wagner - but Herrmann is, IMO, the great Siegfried-figure of film composers. Elfmann's "A Nightmare Before Christmas" would be interesting to see performed live - I see they've got it appropriately programmed right between Halloween and Christmas. Yes, apparently Hitchcock wanted only sound effects - Janet Leigh's screams, etc. But it didn't play. And Hitchcock, wisely, realized it. Thus, one of the most instantly recognizable movie music moments of all time. By the way, as I understand it, hearing Bernard Herrmann's score for The Day the Earth Stood Still as a child was a watershed experience for Danny Elfman. That's interesting, the score for TDTESS also burned itself into my childhood memory. Elfman must have had some fun scoring "Mars Attacks". It's also difficult to picture "Taxi Driver" with any other music than Herrmann's - loved that score. When Herrmann and Hitchcock split, Herrmann put much blame on Universal, the studio that made Hitchcock rich but was a relatively low-class organization in his estimation. When Herrmann saw Lew Wasserman (head of Universal) afterward and told him off, Wasserman cracked, "come around when you get hungry." Herrmann replied, "When I get hungry I go to Chasen's." Great line. In the end, Herrmann's late career fared better than Hitchcock's. He went on to work with Truffaut and De Palma and last and best, Scorsese. This quote is so true. In both “Psycho” and “Vertigo” the music pushes the shock and suspense to another level. Herrmann enhanced every movie he made. I know Scorsese credits Herrmann’s score for “Taxi Driver” as a reason for the films’ success. Glad to have you back on line. Was just watching The Day the Earth Stood Still for the first time since childhood and was paying closer attention to the score than I might've had I not just posted this. I'm convinced now that Bernard Herrmann could've scored any worthwhile film of any genre and heightened its appeal. His musical talent combined with his understanding of film was a unique gift.